Despite unremitting bad news about the economy, Florida’s marine industry found reason to celebrate after the Nov. 4 elections, as Floridians voted to adopt an amendment to the state constitution to help preserve working waterfront. “We’re thankful for the public of Florida — that they came through,” says John Sprague, who worked three years to get Amendment 6 on the ballot. The amendment requires country assessors to set the taxable value of working waterfront on the basis of its actual use instead of its “highest and best” use. The measure passed with the support of 70.5 percent of the voters. The margin of voter support was the highest of any of the six constitutional amendments on the ballot. Sprague says the industry had little money to promote the measure, but waged an intense grassroots campaign in the final month. Industry stalwarts, he says, put out signs, bought advertising on billboards, educated employees, lobbied neighbors, and passed out literature at grocery stores, PTA meetings and to parents of trick-or-treaters on Halloween. “It was really a grassroots effort,” he says. 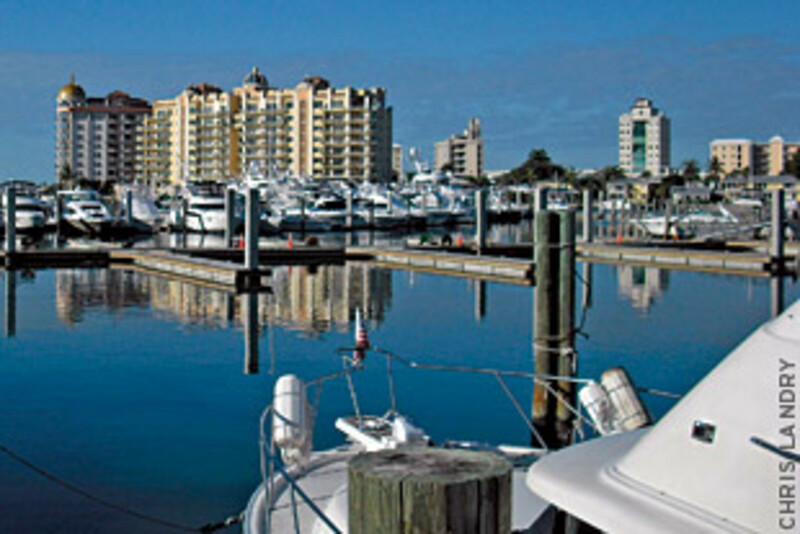 In a state where boating is a way of life, advocates of the amendment argued that marine business owners are under extreme pressure to convert their marinas, boatyards, dry stacks, commercial fishing and other marine-related facilities to other more profitable uses because of high waterfront taxes that reflect the value of neighboring condominiums and other luxury developments. Florida’s marine industry generates $18.2 billion annually and 220,000 jobs, Levan says. “It surpasses the citrus and cruise ship industries combined,” he points out. Nancy Chambers, a controller for the Marine Industries of South Florida, button-holed voters outside a polling place on Election Day to ask them to vote for the amendment. “A lot of them stopped and let me explain, and when they came out [after voting] told me, ‘We voted your way,’ ” she says. She says the measure made sense to voters. Sprague says the Florida legislature now must adopt a law implementing the amendment. He expected a draft measure to be on the table by mid-November. “Florida is on the cutting edge of boating access issues,” Sprague says. The next big push: shaping a state regulation to promote development of mooring fields. He says this will increase Florida’s boat storage capacity and water access. This article originally appeared in the January 2009 issue.